Usually the business owners of today do not have spare time to spend their evenings joyously. As the small business owners are too busy with their daily routines of meeting customers and clients throughout the day, they are already too exhausted to do any more work during the evenings but willingly or unwillingly, they have to work extra during the evenings because they do not have an assistant. As hiring an assistant does not fit in their budget and also some people have security issues with an outsider working in their small office, these business owners work double to keep their business updated and it does not always happen. Usually the work in the evenings is like a burden on them and there isn’t enough energy to complete this work daily. While most of these business owners may be unaware, they can hire a virtual personal assistant to manage the administrative tasks and get their evenings freed from work. The virtual assistant wouldn’t be coming to the office for work so this removes the concern of the people who are choosy about their employees. As the work is delegated and received online, there is no limit and no boundaries for hiring the virtual assistant. If you are present in the North Pole, you can hire a VA situated in the South Pole without any hesitation because all you need to communicate and work is the internet and it is now available all over the globe. Virtual assistants are now very easy to find and if the business generates enough work to keep more than one assistants busy, the business owner can also hire a team of virtual assistants. Hiring a team is better than hiring a couple of different assistants because the quality of work gets improved with a team than a single person. In teams the work can be divided among the team members and if someone falls sick or does not report to work for a day or two the other members would take over the tasks and handle the work among them. In this way the work of the client never gets missed and it is always completed. 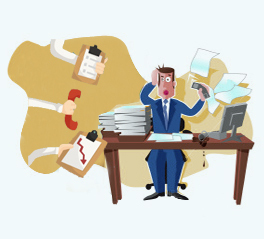 A business owner can hire virtual personal assistant through his website by searching on Google. He can contact the assistant through the website and communicate through the email. If it is needed to chat face to face, the Skype application is best to use it for the purpose. One can easily chat face to face or just make a call without turning on the camera. Hence there are no problems with this kind of hiring and the work can be easily completed and delivered on time. This entry was posted on Wednesday, April 16th, 2014 at 11:43 am	and is filed under Virtual Assistant Services. You can follow any responses to this entry through the RSS 2.0 feed. You can leave a response, or trackback from your own site.